AMCN looks back on the year’s most terrifying get-offs and their sometimes tragic consequences. 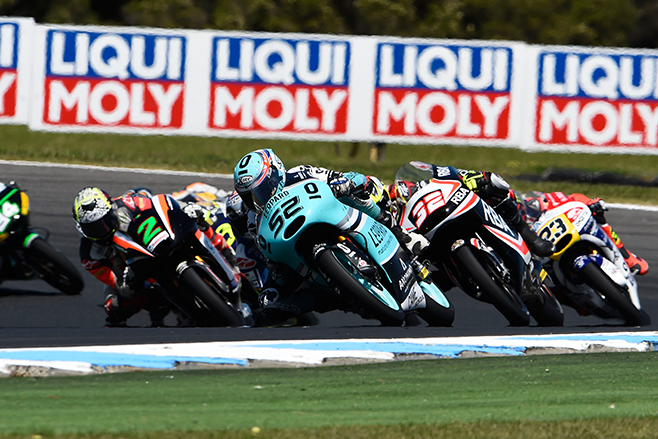 With the pressure of the chance of being the first British rider in 38 years to win a world championship, Danny Kent’s weekend at the Australian Grand Prix was one he’d rather forget. Between penalties, near misses, run offs and fightbacks, he’d find his way back into the leading group and with 10 laps still left to run, with a level head could take the title. Niccolo Antonelli, however, had other ideas and clipped the Briton’s rear wheel which ended in Kent’s spectacular highside at Southern Loop. Not once but twice! 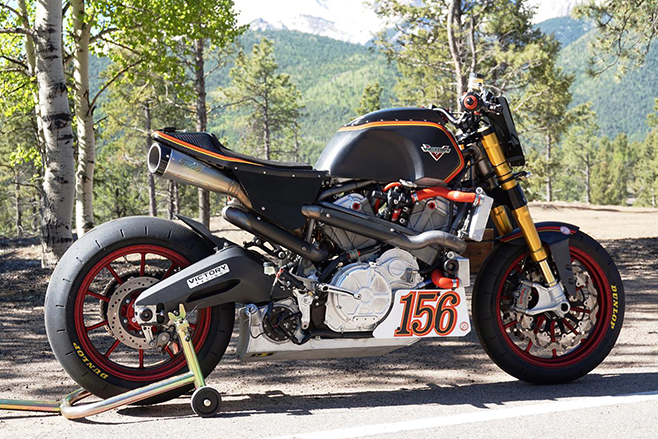 Victory’s Project 156 pilot and American journalist Don Canet had the Victory race team working for their money during the 2015 Pikes Peak event. Not only did Canet narrowly miss hurtling himself off the 14,000-foot mountain during a practice crash high on the mountain, but he crashed early on in his run on race day, too. 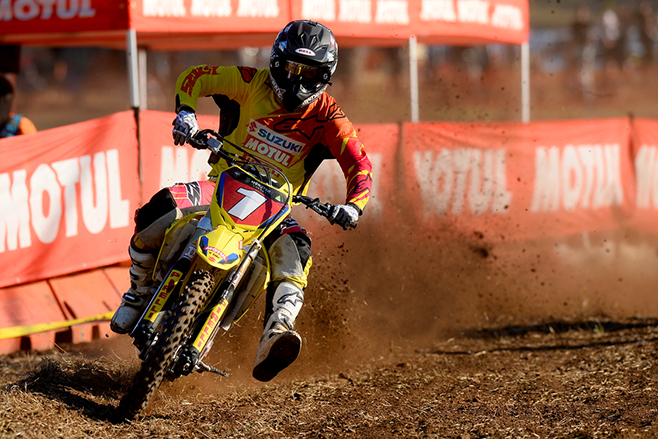 There was a collective sharp inhale all around the country when Australian Suzuki off-road rider Matt Moss collided heavily with a bobcat during Superpole at the Shepparton round of the MX Nationals. Moss suffered a broken leg in the incident and was extremely lucky to escape serious injuries. 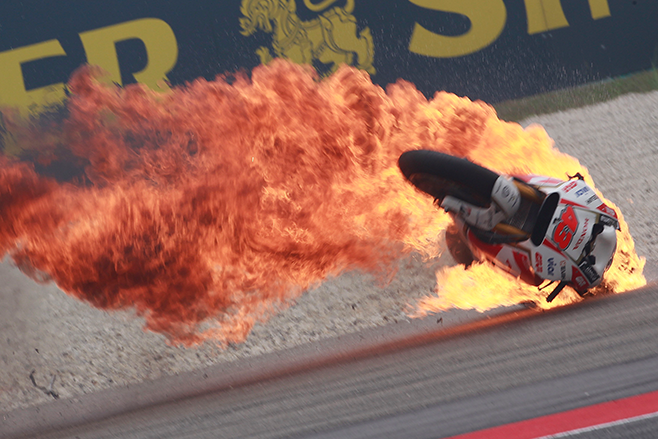 As far as spectacular crashes go, Jack Miller’s fireball at Malaysia takes the cake. Lost among a bigger media frenzy at the same round, Miller lost the front during qualifying which turned his Honda RC213V-RS into an exploding fireball. Probably the crash that took the most headlines, retired two-time MotoGP champ Casey Stoner crashed out of the Suzuka 8 Hour endurance event after the throttle got stuck open on his Honda CBR1000RR racebike. The Australian suffered a broken right scapula and a fractured left ankle. Guy Martin was lucky to escape serious injury when he was unable to save a rear-end slide on his Tyco Suzuki that sent him hurtling off the track and narrowly missing a tree. The 11-time Ulster GP winner fractured his vertebrae, sternum and ribs in the incident, and an honourable mention must go to the official running to assist Martin, who fell over in the mud before reaching him. More like the save of the year rather than the crash of the year, Moto3 rider Niklas Ajo finished the Dutch round of the Moto3 title on his knees next to his moving bike. The Finnish rider was thrown from the seat in a last corner highside but refused to let go. Careening off the track and narrowly missing the wall, Ajo managed to get the bike back on track and cross the finish line, all the while being dragged along next to his upright bike. It was the ugliest and most violent crash of the year. 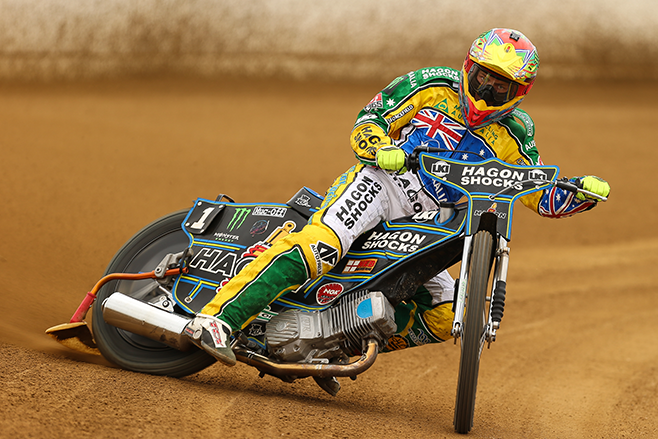 Australian Speedway Grand Prix racer Darcy Ward clipped another rider’s rear wheel with his airborne front wheel which sent the 23-year-old hurtling into the wall. The crash has left the young Aussie paralysed from the chest down and, while doctors have said he may never walk again, it’s still too early to rule out hope. Get well soon, Darcy.